In fact, squid were 10 times more abundant in the area preferred by the whales. In this preferred area, the whales could get enough food by making just one dive a day. 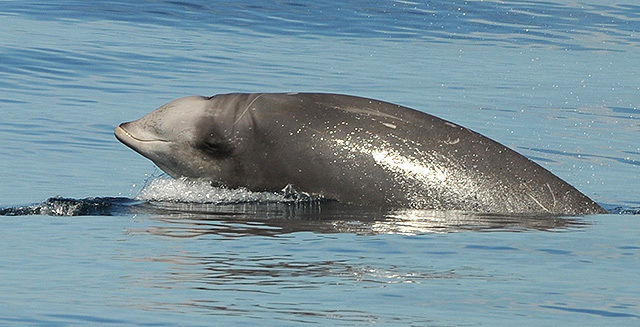 In a nearby sonar-free area (established with the idea that beaked whales could shelter in these areas while the sonar tests were underway) the whales would need to make between 22 and 100 dives per day to get enough food—something that would be difficult or impossible to do. 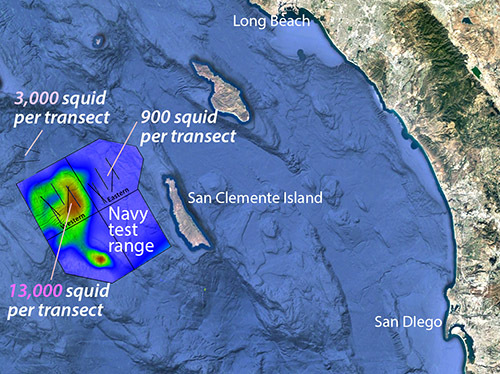 The large red area on this map shows where beaked whales congregate within the Navy sonar test range off Southern California. 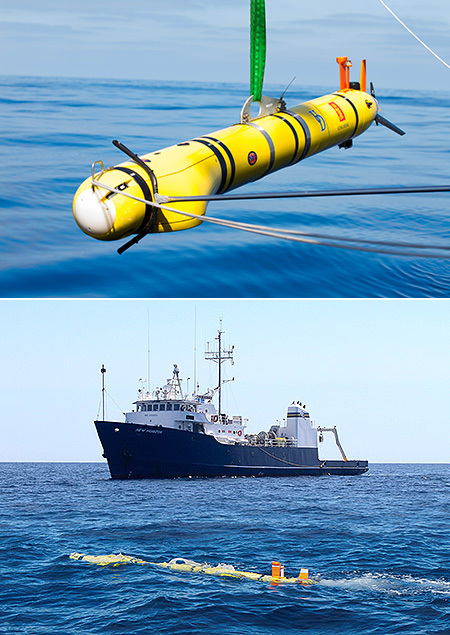 Data collected during transects by the REMUS AUV shows that deep-sea squid are much more abundant in this region than elsewhere. Base image: Google Earth.